At Classic Kia Carrollton we go the extra mile to make your shopping experience perfect. From the moment you walk through our front doors you can tell that your visit is going to be special. Our family-friendly, no-hassle environment means you can shop at your leisure without fear of being pressured into a sale. When you’re at Classic Kia Carrollton you can always expect a simple, easy shopping experience that always puts the customer first. We are proud to be part of the Class Chevrolet Group, a brand recognized for its award-winning customer service. When you shop at Classic Kia Carrollton you can rest assured that you’ll receive the no add-ons, flat price shopping experience that Class Chevrolet Group is known for with our signature stress-free, check-out process. At Classic Kia Carrollton our No.1 focus isn’t to sell you a car, but to make your visit perfect. That means quick, efficient service and top-notch customer service you can count on. Explore all the newest models straight from Kia, including the Optima, Soul and Sorento. Our extensive inventory contains stunning sedans, crossovers and SUVs for every budget and style. Whether you have your eye on the new Forte or the sleek Sportage, you’ll find a great selection at Classic Kia Carrollton. In fact, it’s our beautiful inventory and low prices that brings customers to us from across the region, including Denton and Lewisville. In addition to our large new vehicle selection, we also have a wide variety of used and certified pre-owned models to choose from. Every pre-owned vehicle in our inventory has been hand-picked and has passed a rigorous multi-point inspection. New models are added daily! We invite you to explore our complete selection online or instore. There are over 100 models to choose from, with vehicles from all the major brands. From sedans to crossover SUVs, we have it all! At Classic Kia Carrollton we take care of you long after the sale is complete. Our team is here to help you at every stage of the ownership experience. Whether you have a technical question or simply need to get your vehicle in for service, you can count on Classic Kia Carrollton to help. From routine maintenance to repair, we do it all. 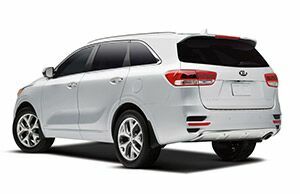 We are proud to be your trusted Kia dealer in the Carrollton area specializing in sales and service. Our onsite, state-of-the-art service department is staffed by our award-winning team of Kia factory trained and certified master technicians who can help with anything your vehicle might need. Maybe most importantly, we charge fair market prices! It’s easy to make an appointment using our convenient online scheduling form or by calling our team directly by phone. See for yourself why drivers from Carrollton, Denton and Lewisville choose Classic Kia Carrollton for all their automotive needs. You can learn more about our award-winning shopping experience from our customers on our testimonials page. Then, be sure to stop by and see us at our convenient location at 2920 N Interstate 35E in Carrollton, TX.